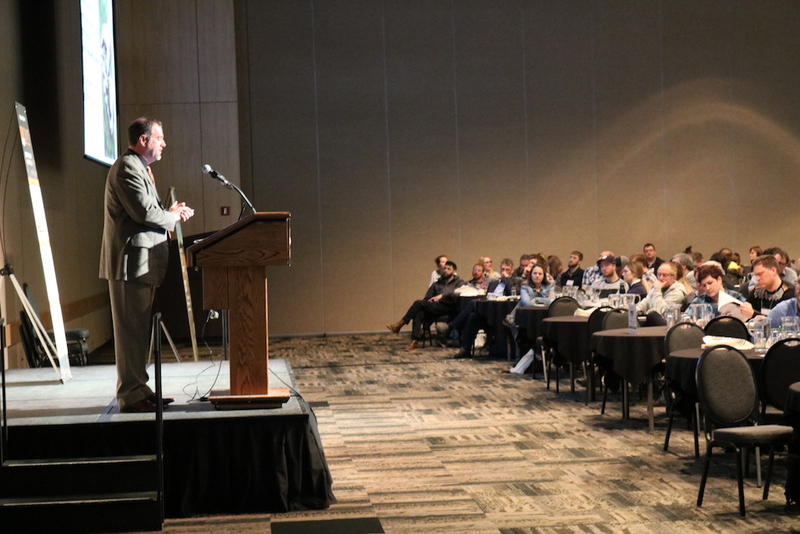 Dr. David Lobb, a professor in the department of soil science at the University of Manitoba, presented on the state soil health in Canada – where it was and where it’s going. Lobb also shared a variety of soil management practices available to farmers that can be implemented in a systematic approach to build soil productivity and profitability. In the video below, Lobb makes the case on the importance of soil and what the cost is if producers neglect to maintain soil quality and ultimately, productivity. Finally, he shares ways farmers and agronomists can use the information presented to change their management practices.